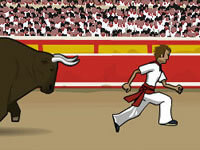 In Extreme Pamplona you are a Torero who is on the run from a wild bull. In this game you will run and run... all the time. You will travel through different countries and every time you must run away from the bull, crazy woman and many other strange characters. 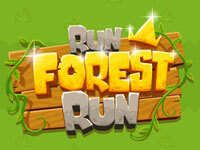 So, use all your skills and win this amazing online game! Play over 5 action packed levels! Use the arrow keys to move and press space bar to jump.